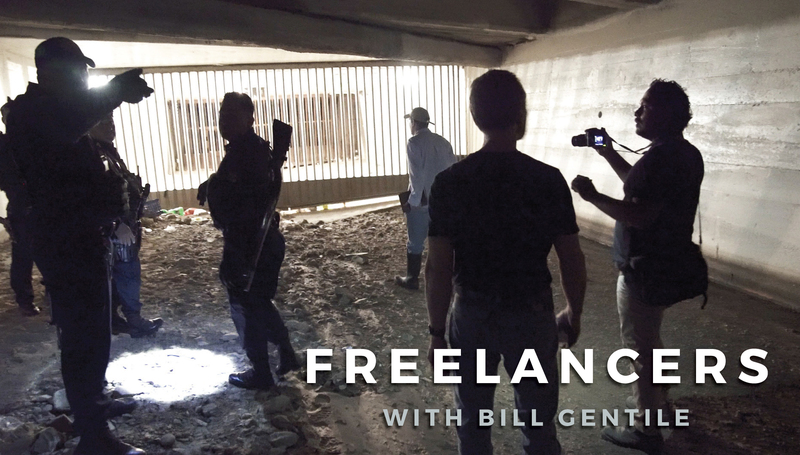 WASHINGTON, DC, 14 January 2018 — I’m delighted to update friends, colleagues and supporters that FREELANCERS with Bill Gentile soon will be moving to the distribution phase. We’ve scheduled a screening this week at American University, a generous supporter of this project. The event will be held at the class of Matt Cipollone, whose editing of the documentary serves as his graduate degree thesis project. Matt graduates with a Masters Degree this May. Following the screening, my plan is to deliver the film to the artist who will provide the sound/music foundation of the documentary, and who will mix the sound and music into the final cut. Then we take it to potential distributors. It’s been a long journey, filled with intense, hard work, much learning and a tremendous amount of fun with friends, new and old.